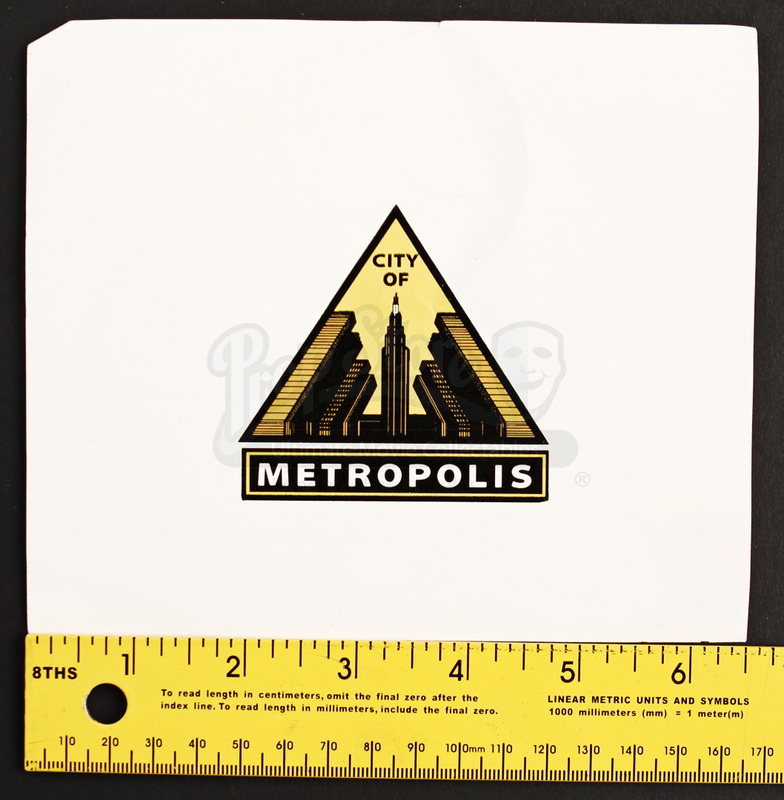 A City of Metropolis Sticker from ABC’s superhero drama series, Lois & Clark: The New Adventures of Superman. The show follows intrepid reporters Lois Lane (Teri Hatcher) and reporter-by-day Clark Kent (Dean Cain) through investigative, super heroic, and romantic adventures. 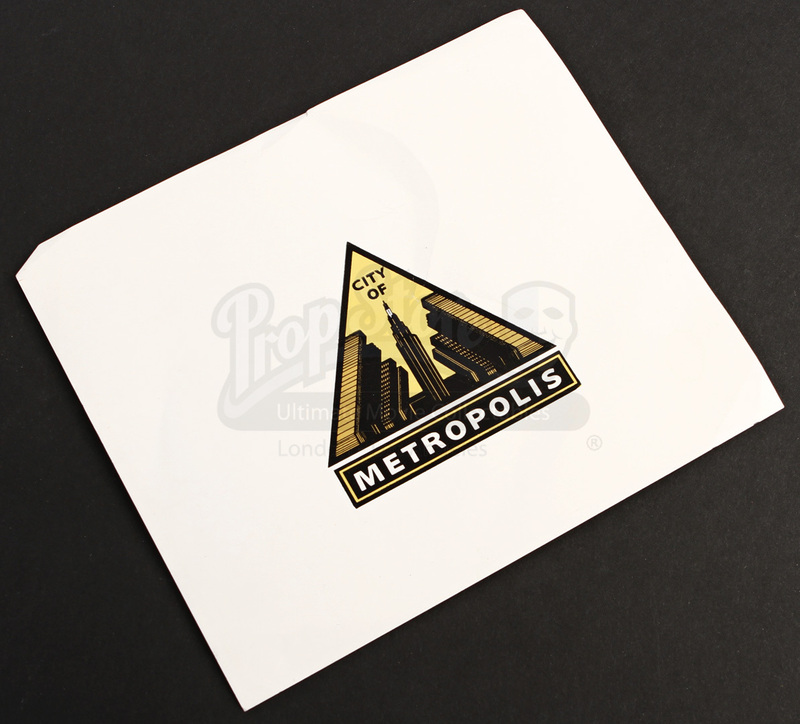 Stickers like this are used throughout the series on everything from license plates to street signs. 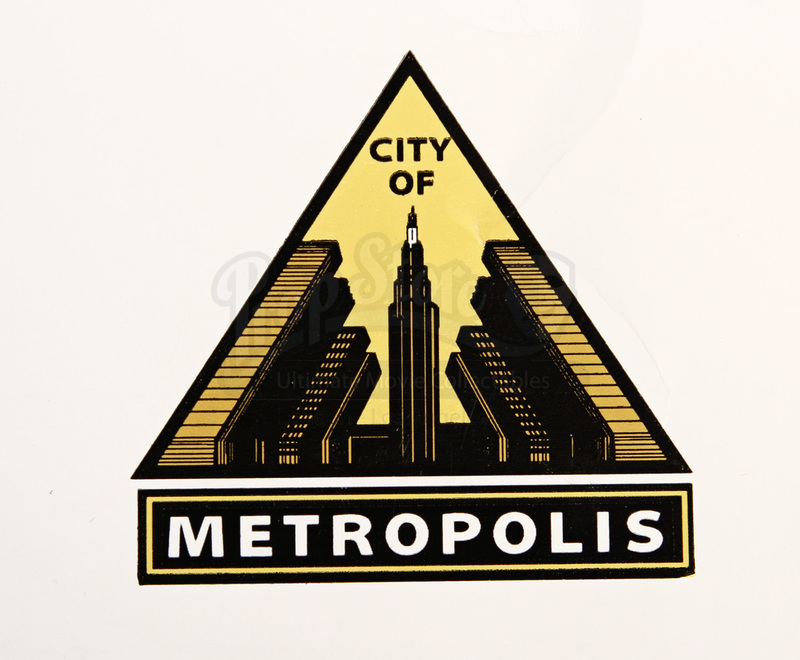 The logo is an identifying part of the show’s interpretation of Metropolis. 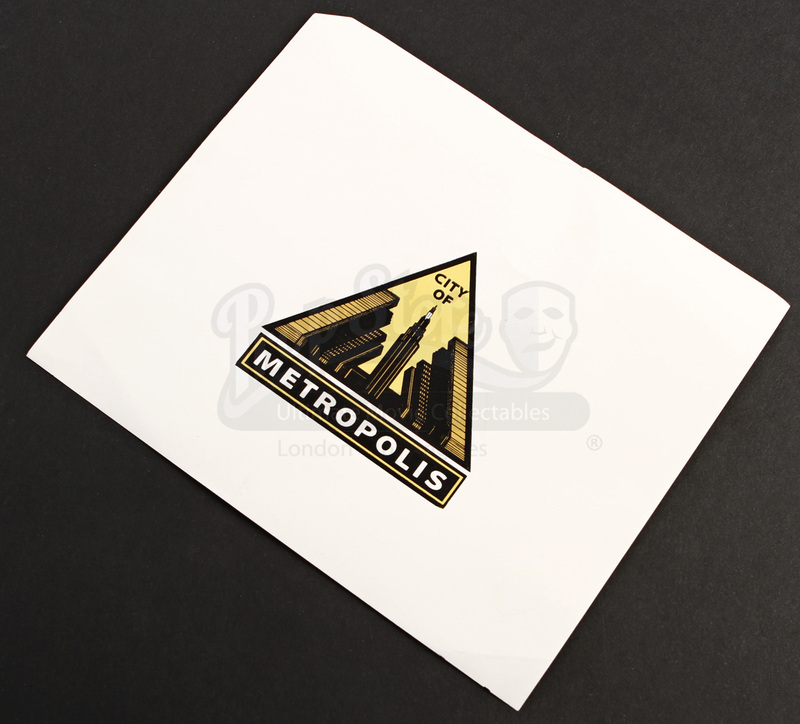 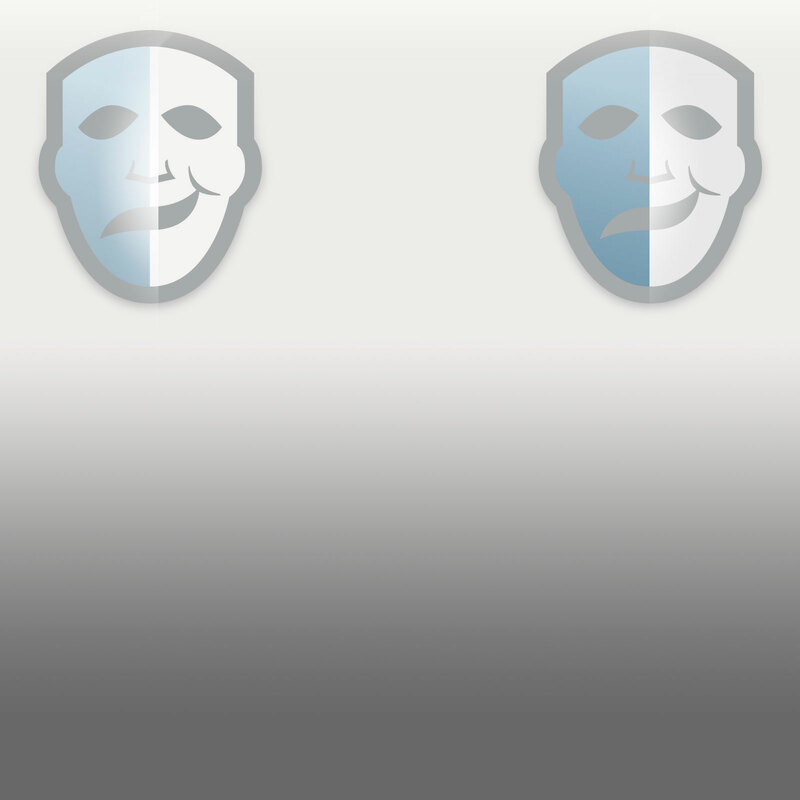 The logo is printed on sticker paper that it would have been cut out of for easily for application, though this piece remains unused. 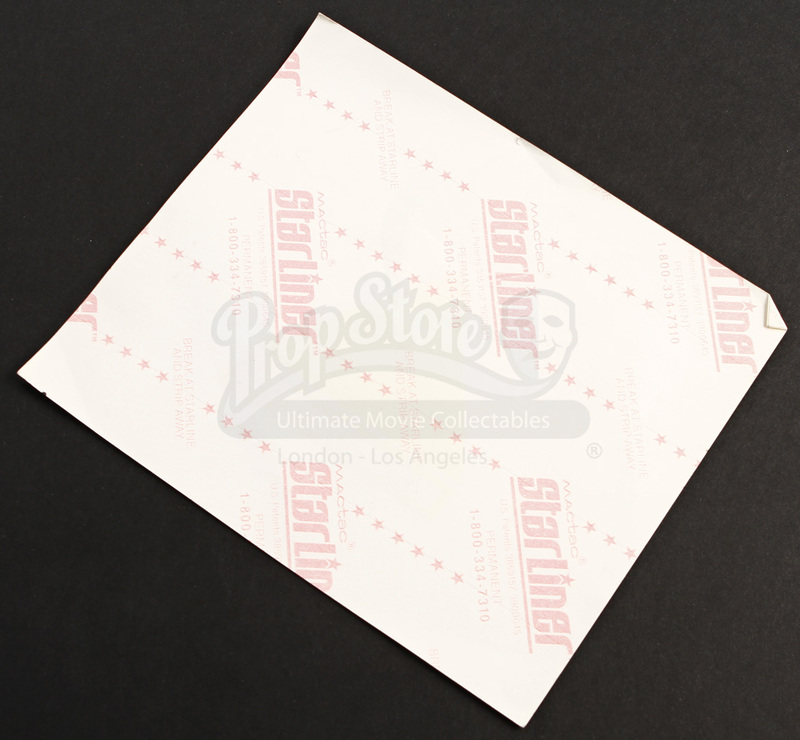 The sheet measures 6” x 7” (15cm x 18cm) and, despite some creases in the paper, remains in good, production made condition.